Located in Krabi, a family friendly Thai resort, Krabi’s Fishing Resorts provides the perfect chance to catch some of the biggest and most exotic fish you are ever likely to see. The 12 acre fishing lake is surrounded by some of the most beautiful tropical gardens you can wish to see. The resort has only been completed in the past decade and it remains one of the most modern, yet traditionally stylish, fishing resorts in Thailand. Closest airport is Krabi which is only 25 minutes away, Phuket and Phuket International Airport is approx 2 hours from Krabi fishing resort, making it an excellent choice for people solely coming for a fishing trip, or for people who are looking to combine the very best of what Thailand has to offer. 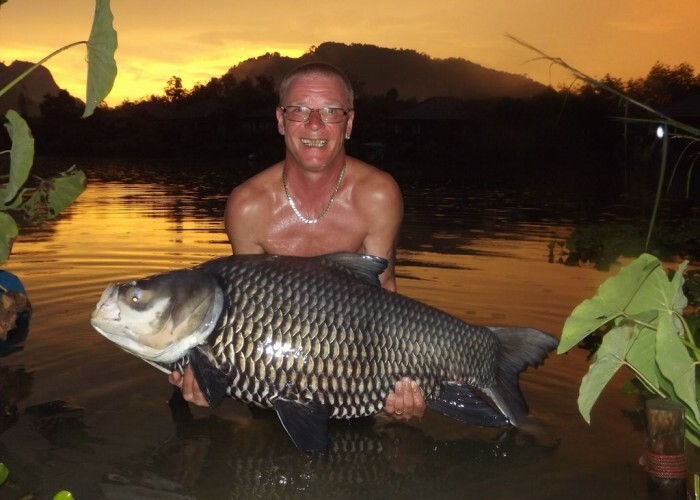 With numerous Arapaima over 300lb, Giant Siamese Carp to 160lb, Mekong catfish averaging 150lb and Redtail catfish up to 95lb, Krabi fishing resort provides you with the chance to fish for some of the biggest and best fish in Thailand. The resort is extremely proud of the fact that they hold three world records and had held a further three world records in the past. If you are out to make history when you fish, this is likely to be the resort that is best suited for you. There are many different species of fish, which means that you have every chance of creating your personal best at the resort with many fish over 100lb in good supply at the resort. or you have plenty of experience, you will find support that is tailored to your experience and needs. There is a strong focus on tailoring everything towards your fishing needs and expectations, which means that this is the resort for you if you want to fish to your heart’s content. The Arapaima and the Giant Siamese carp rank highly amongst the biggest fish you will find at Krabi’s Fishing Resort, but there is an extensive selection of fish to choose from. The Amazon Red Tail fish, the Giant Freshwater Stingray, Mekong catfish, Chao Phraya and the Wallagoo leeri, all provide fantastic challenges for any angler in Thailand. Interested in booking Krabi fishing resort, please contact us via our enquiry form or contact our Head Guide Barry Gregory direct on +66 946740227.